What you need to know about overcoming debt problems together. 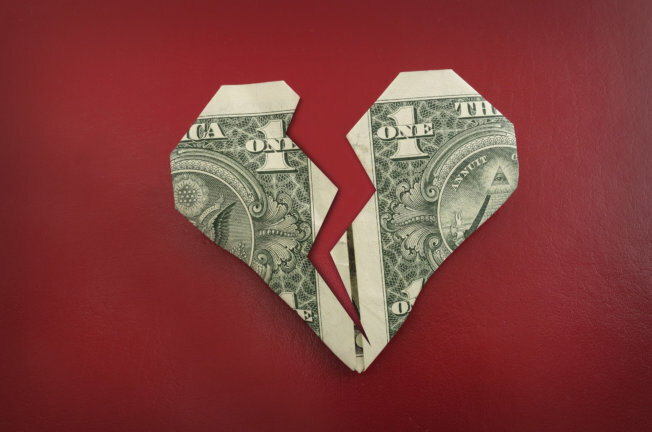 When you’re facing financial problems as a couple, you can come together or allow it to drive you apart. If you can work through the issues you face together, you’ll come out the other side a stronger, better couple. And that’s what going through credit counseling together can help you do –it can bring you together as you work through the challenges you face. The information below can help you understand how credit counseling works if there are two of you facing problems with debt together. If you’re facing problems with debt and need help finding a path you can walk together to achieve freedom, we can help. Call Consolidated Credit today at 1-888-294-3130 to request a free, confidential debt evaluation with a certified credit counselor. When you get into debt on your own, you go through the credit counseling process yourself and enroll in a debt management program as an individual. But what happens when you’re in a relationship and both of you have a stake in the debt that’s been incurred? In truth, how you go through the credit counseling process depends on who actually holds the accounts. Enrollment in a debt management program really depends on the account holders. Even if both of you incur the debt and make charges, if the accounts are only in one person’s name then only that person has to enroll in a debt management program. Ok, you’re asking a very good question about do a husband and wife need to be on a credit counseling account together, and the answer is it really depends on your situations. There are reasons why you would want both people on the program and reasons why you may not want both people on the program, and it would really involve me getting to know more about what your individual situation is outside of the debt management program. The only people who are obligated to participate in the debt management program are the people who are the actual signers on the accounts. These are the people who have signed the loan application, promising the credit card companies that they’re responsible for making the payments. If that card is with a bank that you’re also including another card from that bank on the program that’s just in your name, you would have an issue that would affect that card. The simple answer is, if want to just put your cards on the program you can, we can do the budgeting work just on you, we can do it on you and your household, or we can do both. But in the end, if your name’s on the card you’re the only one who has to join the program. Joint account. This is where the two of you opened an account together. In this case, both of you are legally responsible for the debt. 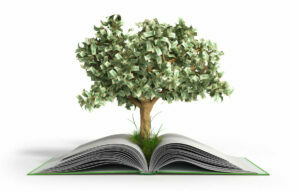 As a result, you would be required to enroll in a debt management program together. Individual account with a cosigner. If you opened the account on your own, but your partner is a cosigner then it’s essentially the same thing as you having the account jointly. Both of you are still responsible for the debt, so you’ll be required to enroll in the debt management program together. Individual account with an authorized user. If you hold the account individually, but your partner is an authorized user then only the account holder is responsible for the debt. This means only the person whose name is on the account needs to enroll in a debt management program. What if you have a mix of accounts? In many cases, the debt a couple has isn’t all of one variety. 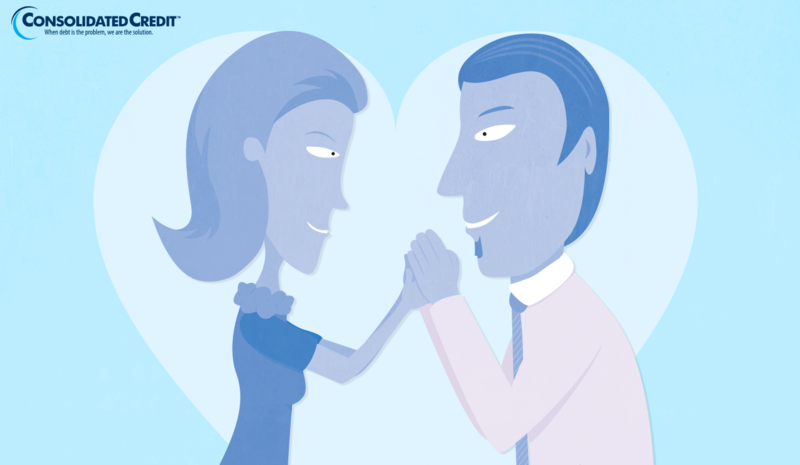 Often each partner may have credit card debt that they hold individually, as well as debt that they hold jointly. So it’s not all one way or another when you have debt as a couple. This is where the help of a certified credit counselor becomes important, because they help you arrange a program that works for the debts you both have. They’ll look at your debts to determine the best way for you to enroll in the program. You can arrange your program to handle both your joint accounts and your individual accounts so both of you only have to worry making one payment each month on your consolidated debt. In other cases, if you don’t have any accounts together then you will enroll in a debt management program separately. You can still go through the credit counseling process and get any budgeting advice you need as a couple, but you enroll in your debt management programs separately. As a result, you would have two debt management program payments to cover each month (one for your program and one for your partner’s program). One major concern people have when they get together is how their credit may be impacted by their partner (and vice versa). It’s a common misconception that your credit scores merge when you get married. In fact, your credit scores remain separate and even if you close all of your accounts and open only joint accounts together, you would still have individual credit scores. That’s not to say your credit habits impact your partner. If you hold an account jointly or your partner is a cosigner on your account, then late payments and defaulted accounts will negatively impact both your credit score and your partner’s credit score. Of course, your spouse’s enrollment in a debt management program shouldn’t have a negative impact on either person’s credit score, because in most cases debt management program enrollment does not have any negative impact on your credit overall.